You might have noticed that we haven’t actually delved into the internal architecture of IOS-XR. While there are several upcoming documents that will shed light on the deep internal workings of IOS-XR, I thought I’ll take a quick stab at the internals for the uninitiated. At the bottom of the figure, in gray, we have the host (hypervisor) linux environment. This is a 64-bit linux kernel running the Windriver linux 7 (WRL7) distribution. The rest of the components run as containers (LXCs) on top of the host. Inside the XR control plane LXC, if we zoom in further, the XR control plane processes are represented distinctly in blue as shown below. This is where the XR routing protocols like BGP, OSPF etc. run. 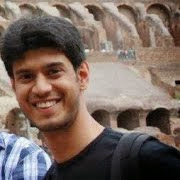 The XR CLI presented to the user is also one of the processes. See the gray box inside the XR control plane LXC ? This is the XR linux shell. P.S. This is what you drop into when you issue a vagrant ssh [*]. Another way to get into the XR linux shell is by issuing a bash command in XR CLI. 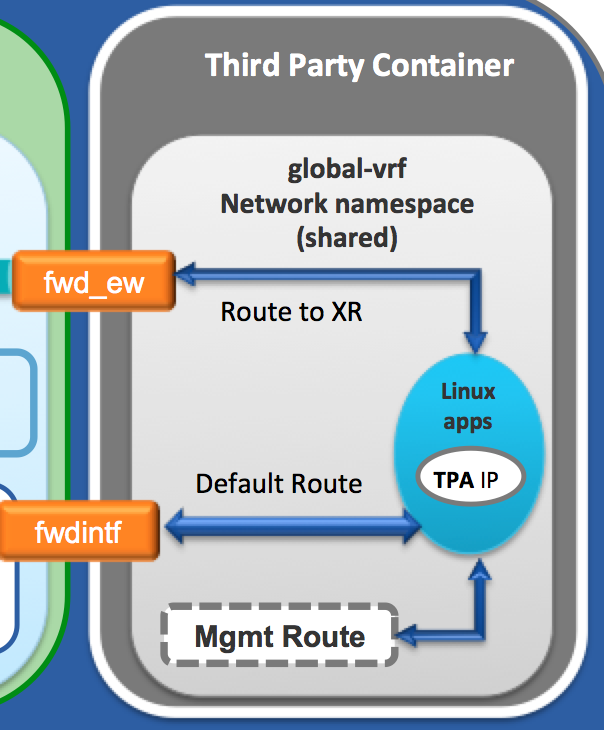 The XR linux shell that the user interacts with is really the global-vrf network namespace inside the control plane container. This corresponds to the global/default-vrf in IOS-XR. A default route pointing to XR FIB. This way any packet with an unknown destination is handed-over by a linux application to XR for routing. This is achieved through a special interface called fwdintf as shown in the figure above. Routes in the subnet of the Management Interface: Mgmt0/RP0/CPU0. The management subnet is local to the global-vrf network namespace. This is what we call the east-west route. 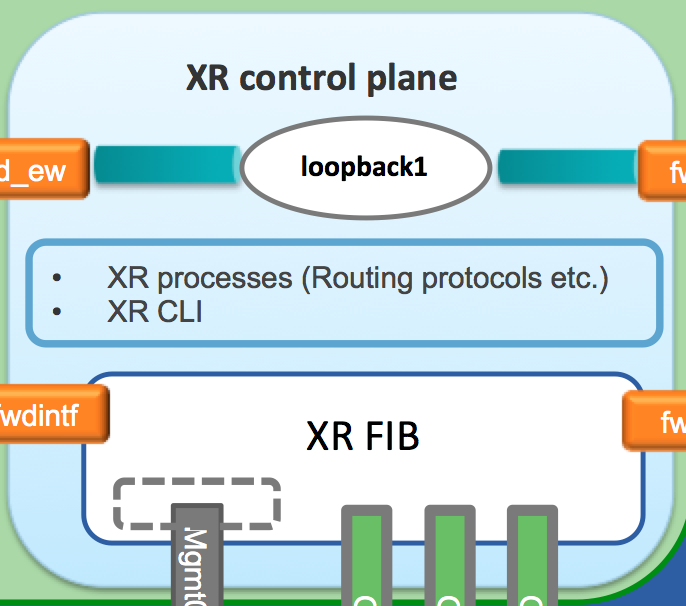 Loopback1 is treated as a special remote interface from the perspective of the XR linux shell. It does not appear in ifconfig like the other interfaces. 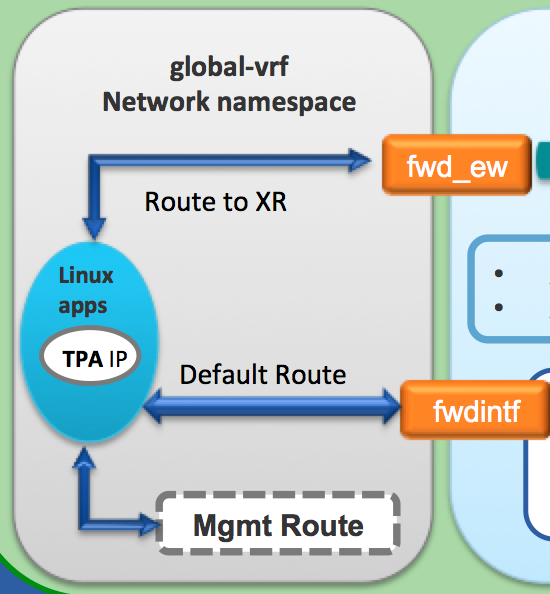 This way an application sitting inside the global-vrf network namespace can talk to XR on the same box by simply pointing to loopback1. This makes the architecture work seamlessly for native and container applications. 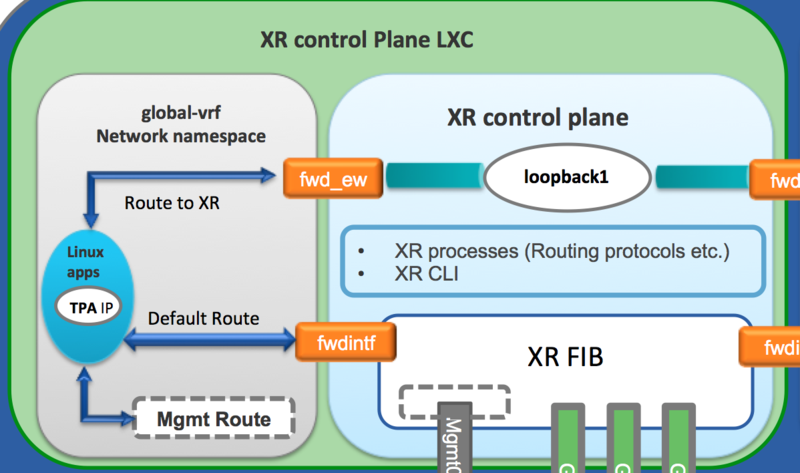 An LXC app has the same view of the world, the same routes and the same XR interfaces to take advantage of, as any native application with the shared global-vrf namespace. Notice the TPA IP ? This stands for Third Party App IP address. 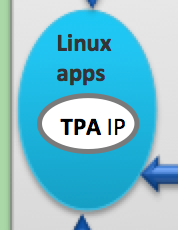 The purpose of the TPA IP is simple. Set a src-hint for linux applications, so that originating traffic from the applications (native or LXC) could be tied to the loopback IP or any reachable IP of XR. This approach mimics how routing protocols like to identify routers in complex topologies: through router-IDs. With the TPA IP, application traffic can be consumed, for example, across an OSPF topology just by relying on XR’s capability to distribute the loopback IP address selected as the src-hint. That pretty much wraps it up. 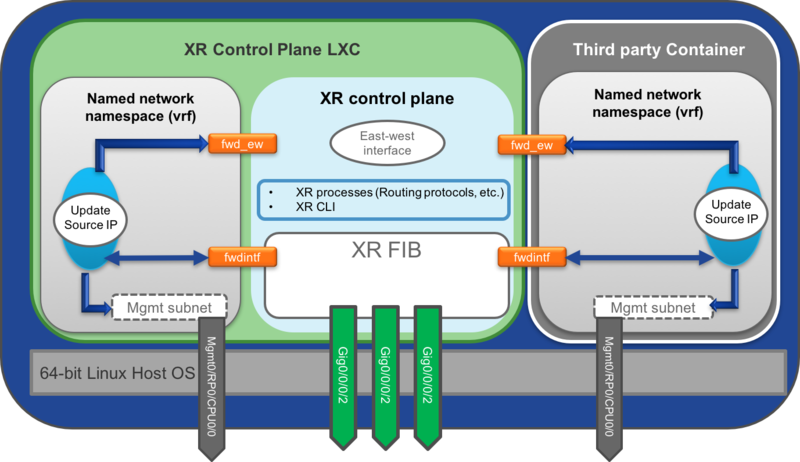 Remember, XR handles the routing and applications use only a subset of the routing table to piggy-back on XR for reachability!